Worms 2: Armageddon, a popular game on iPhone is now launched to BlackBerry phones with more guns, more game modes, more explosions and more locations. In this game you need to send your worm platoons into battle with cult-classic weapons like the Banana Bomb and Super Sheep, plus wacky new ones like the Concrete Donkey and Armageddon etc. 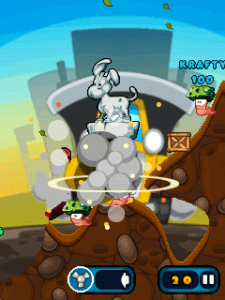 With improved gameplay and new personalized worms you will definitely get addicted to this game. 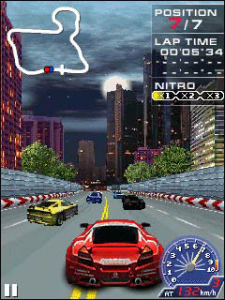 Ridge Racer Drift is an arcade racing game for your Blackberry smartphone. In this game, you need to compete against 6 other racers in Grand Prix mode and unlock achievements. Skilful driving will be rewarded so use Drift to increase your Nitro meter and improve your speed. Panda vs Bugs game for BlackBerry has got good ratings from the users who played this game. 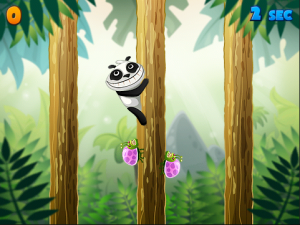 In this game bugs climb the trees all the time. Bugs try to sting the Lovely Panda. They appear from nowhere with the only aim – to hurt Panda. You need to help Panda to clean bugs in the forest. Grphics, animations and sound quality are awesome in this game. The game is avaialble as free download.